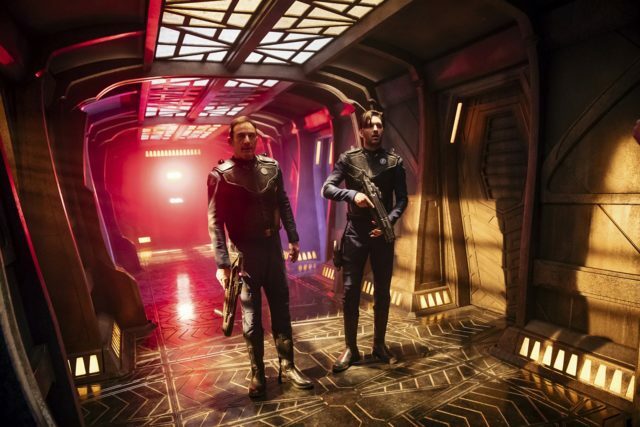 Magic to Make the Sanest Man Go Mad was the Groundhog Day episode of Star Trek: Discovery, along with featuring the return of Harry Mudd. This has become a common theme in science fiction, including the Next Generation episode Cause and Effect, the fourth episode of season three of Dark Matter, and the movie Edge of Tomorrow. For these stories to work there will be someone who realizes what is going on, generally to learn from it. This version had two such people. Harry Mudd intentionally used the time loop to learn how to take over Discovery and what was special about it. Having Stamets be the only crew member to realize what was happening worked well in light of his connection to the spore drive. Having become a common science fiction trope made it easy to progress the story rapidly with viewers understanding with only brief views of each repetition. Stamets first got Burnham’s attention by speaking along with her, knowing what she would say. That led to her telling him a secret which nobody else would know so that she would believe him the next time. If I had any complaints about the episode is that once they established that they could make plans for the next time they had to progress rapidly off screen. By the final time they had multiple people involved and doing quite a lot for only thirty minutes. They did have a plausible explanation for beating Mudd, who took over essential systems but was defeated by the use of non-essential systems such as the Captain’s chair. The episode ended with Harry Mudd closer to the situation we saw him in on the original show, stuck with his wife Stella. As much as he hates Stella, he did get off pretty lightly considering how many times he murdered Lorca and others. Of course in the final time loop he did not commit the murders and probably could not be convicted of those, he was still trying to steal a starship. Fitting into Star Trek continuity won out here. We saw more daily life on Discovery, including a party which was much livelier than the typical party seen on The Next Generation. We Trying To Stay Alive fit in especially well. The episode progressed the relationship between Michael Burnham and Ash Tyler, except that they will not remember most of it. There were no clear clues regarding the theory that Tyler is actually a Klingon spy, but if he was I wonder whether he might have taken advantage of the situation to take control of Discovery and turn it over to the Klingons. Perhaps he has a longer game, influenced by the rivalries between different Klingon Houses. Another idea I had is that maybe when he had to give up everything, this included his memories. He might be a sleeper agent without realizing it, and will not regain his memories until a later date, allowing him to more easily fit into Discovery’s crew. There was little development for Lorca. He did not do anything absolutely evil, but it was amusing to see how he differed from the typical Star Fleet captain in expressing how he did not care what was done regarding the space whale. The holographic shooting gallery has spurred a lot of fan discussion, can you explain how the Discovery holographic gallery differs from a TNG era holodeck? Look, they never physically interact with the Klingons. Yes, Tyler “hits a virtual button,” but you do the same thing playing Star Trek: Bridge Crew on the PS4. What you’re seeing here is a step toward the development of holodecks. It’s not a fully realized holodeck. We talked about this a lot in the room. It’s honestly not that far removed from today’s VR experience. Are we supposed to pretend that technology just disappeared or stopped evolving? This is basically a high tech laser tag. And honestly – it was in The Animated Series. So I don’t get what the big controversy is. Technology doesn’t just suddenly materialize overnight. You evolve slowly from punchcard machines to desktop computers to laptops to smartphones. What you’re seeing here is a step in the journey of the development of holodecks. That’s all. That still leaves open the question as to why we never saw anything comparable on the original show. Presumably they had them but we never saw them. The Monkey Cage column at The Washington Post discussed how The new ‘Star Trek’ has gotten darker and more pessimistic — just like our politics. Last week we learned that CBS All Access has renewed Star Trek: Discovery for a second season and this week we learned that The Orville has also been renewed. I am glad that for a second year we will have two versions of Star Trek. One dark and one light. One closer to the original show, and one based more on The Next Generation. Into The Fold could largely be one of those episodes of STTNG which concentrated on a limited number of crew members beyond the Captain. Being written by Brannon Braga and Andre Bormanis certainly accounted for this feeling so much like such an episode. Humor also works best in episodes involving Isaac (as was the case on a previous episode). These scenes work best with Isaac as they seem less forced, with Isaac struggling to understand humans in a manner comparable to Data. 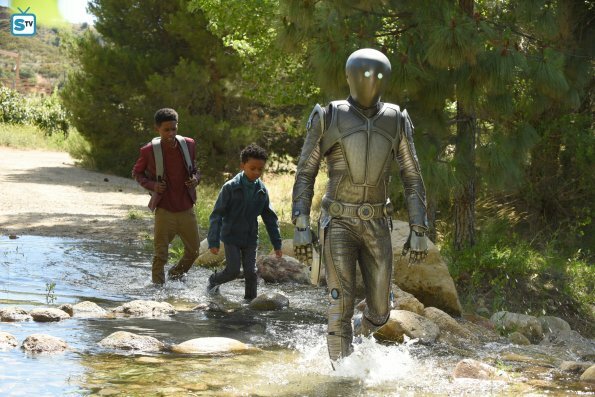 My favorite scene had Isaac, seeing Dr. Finn having difficulties with her two young children, advise her that on his planet “when a program is not working properly it is deleted.” He then offered to vaporize the children. By the end of the episode he was helping to save the children and even said he had grown fond of them. Like on Discovery this week, we also saw the crew listening to music. Discovery won on this comparison, with the crew of the Orville listening to Barry Manilow. To be fair, this was actually Seth MacFarlane’s way to mock Manilow. Just as this episode looks into specific characters. Screen Rant looked into the characters with a set of interviews. 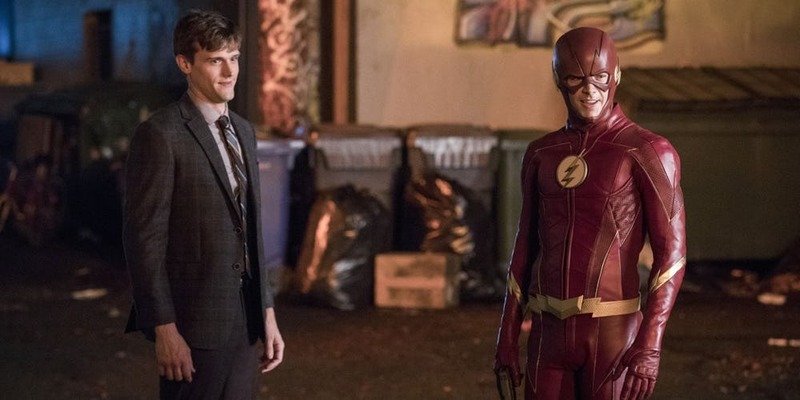 Elsewhere on genre television this week, the Elongated Man was an excellent addition to The Flash. Screen Rant has background information on the character. Legends of Tomorrow also had a fun episode, between seeing Zari join the crew and the time travel adventure to save Ray Palmer from being killed as a child. The third season of Stranger Things is already in the works but probably will not be seen until late in 2018. The ending of the second season certainly left open many possibilities. There are many questions about events of the first two seasons (some of which are discussed here), but they also had enough of an ending to move on to different stories if they like. One thing which made the second season so bingeable was how most episodes ended with a major event which led directly into the next episode. The one difference was in the controversial seventh episode, which had Eleven go off elsewhere. The Duffer Brothers have defended the episode against some of the criticism. Personally I liked the episode as it addressed the question of whether people with powers like Eleven would abuse their powers, providing Eleven with a means to confront the issue. 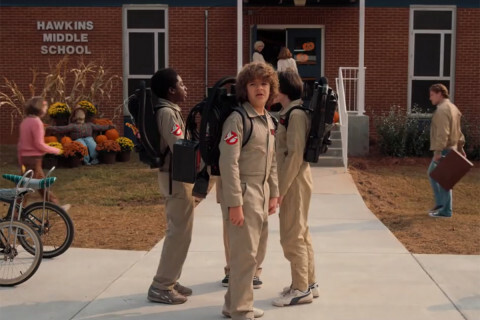 Stranger Things has multiple pop culture references. IndieWire has a guide. 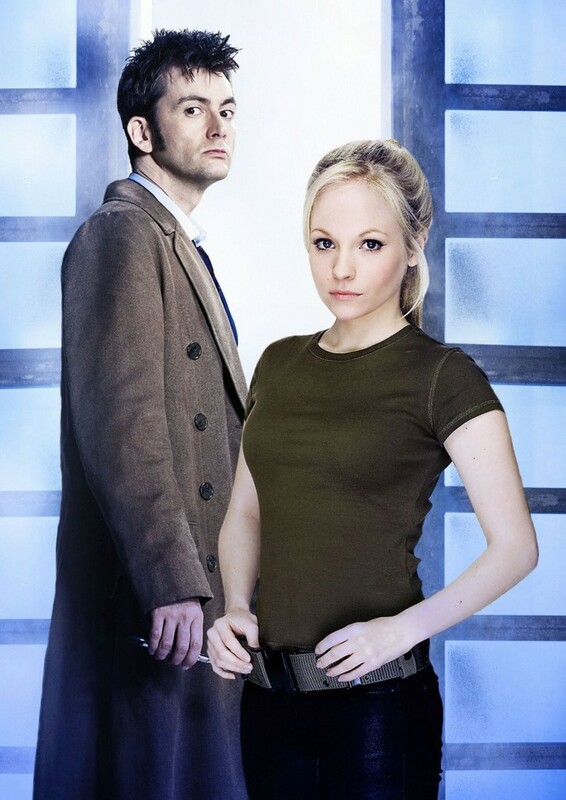 In Doctor Who news, Jenny, the Doctor’s Daughter, is back, in a set of audio dramas from Big Finish. I would love to see River Song meet Jodie Whittaker’s Doctor. I don’t know if that will happen, but Alex Kingston will reprise the role and meet two additional Doctors in radio dramas. Bernard Cribbin, who played Wilfred Mott, Donna Noble’s grandfather, has expressed interest in returning to travel with the Doctor when Jodie Whittaker takes over. Under pen-name The Watcher, he launched an extraordinary attack on BBC Worldwide , which distributes the sci-fi show, and Panini, who publish the magazine. For reasons that are not entirely clear, Pegg has included a coded message in the current edition of Doctor Who Magazine. The digital version of the page has been altered and Pegg will not be returning to either job.